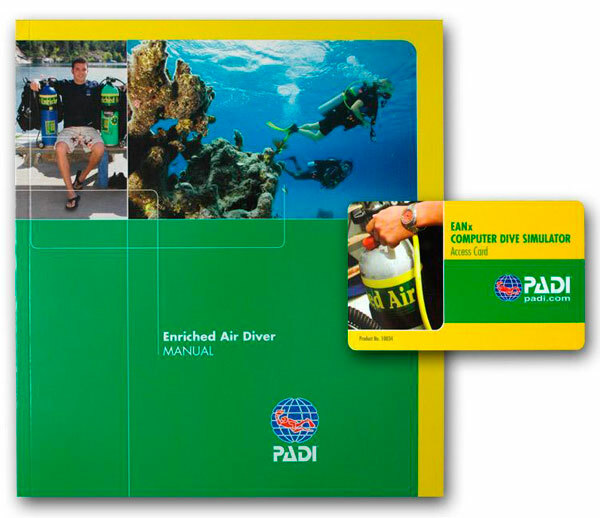 The PADI Enriched Air (Nitrox) Diver course is one of the most popular speciality scuba courses, because diving with enriched air gives you more no decompression time, especially on repetitive scuba dives. *We have added a 4% paywal cost to this transaction. The PADI Enriched Air (Nitrox) Diver course is one of the most popular speciality scuba courses, because diving with enriched air gives you more no decompression time. Enriched air contains less nitrogen (up to 40% Oxygen) which allows you to stay in the water longer and get back in the water sooner. You need to be at least 15 years old.